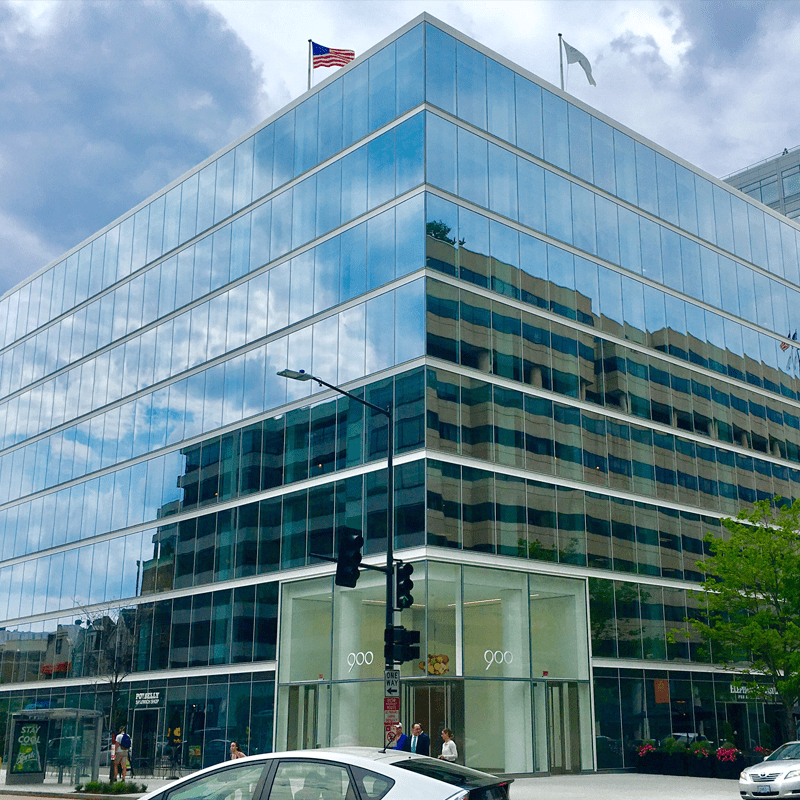 Originally built in 1979, 900 19th in downtown Washington, D.C. underwent a $14 million facelift. 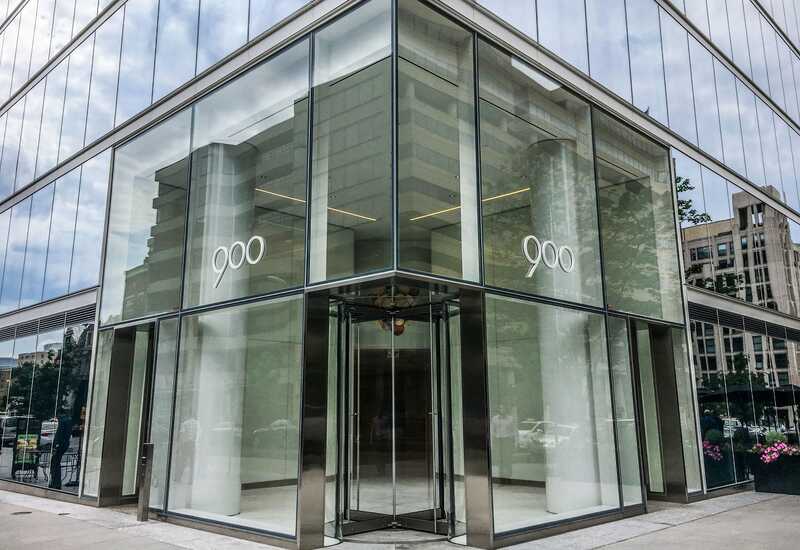 Located in the Central Business District of downtown Washington, DC at 900 19th Street, NW, Tishman Speyer’s Class A boutique office building underwent an expansive renovation that transformed it into a new Trophy Class office building with improved amenities. 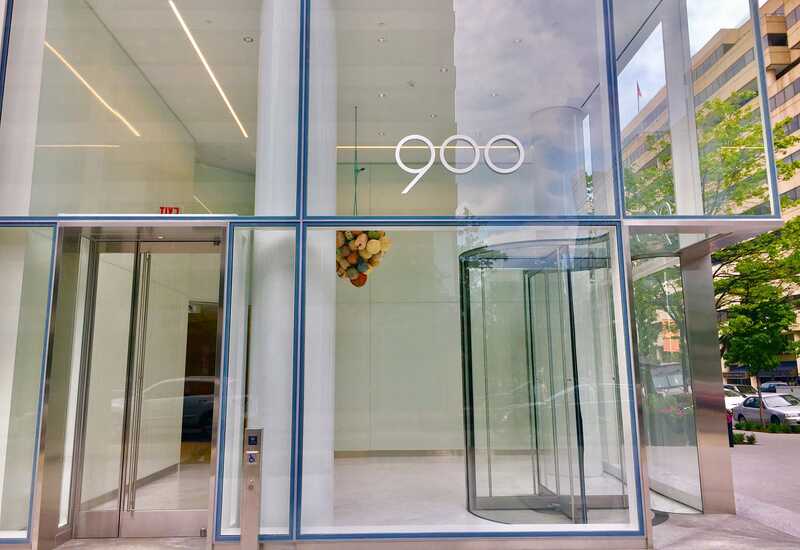 Gilbane provided general contracting services for the complete façade replacement of 900 19th, designed by Studios Architecture. This existing eight-story, Class A building is one block from the Farragut West Metro station and accessible to plenty of downtown amenities. The project included new glass curtain wall as well as structural glazing at the newly constructed two-story atrium. Included in the redesign was a new, state-of-the-art fitness center and a reimagined rooftop terrace which is sure to deliver incredible downtown views. The renovation will provide elevator modernizations, mechanical upgrades, fire panel and life safety upgrades, paver and landscaping upgrades on 19th and Eye Streets, as well as a new lobby complete with high-end finishes. The two-story ground floor lobby was also expanded to encompass the full corner of the building footprint. While the ground floor retail remained occupied, the existing façade was replaced with new curtain wall in a phased approach to minimize disruption to the building occupants. Temporary partitions were installed to maintain a safe and weather tight barrier while the facade was being replaced in a small tenant area that had existing finishes to remain. 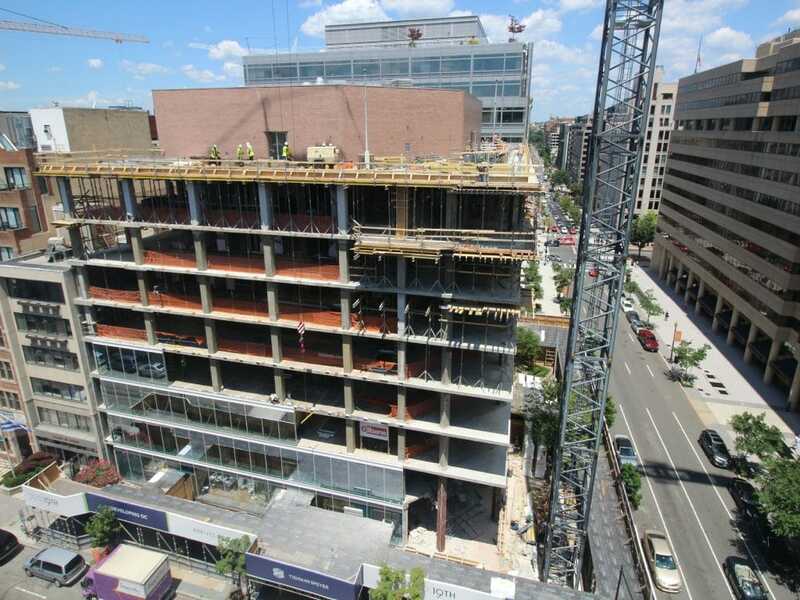 Additionally, the existing building balconies were recaptured into the building and the eighth floor slab was extended, increasing the rentable square footage (RSF) of the building.